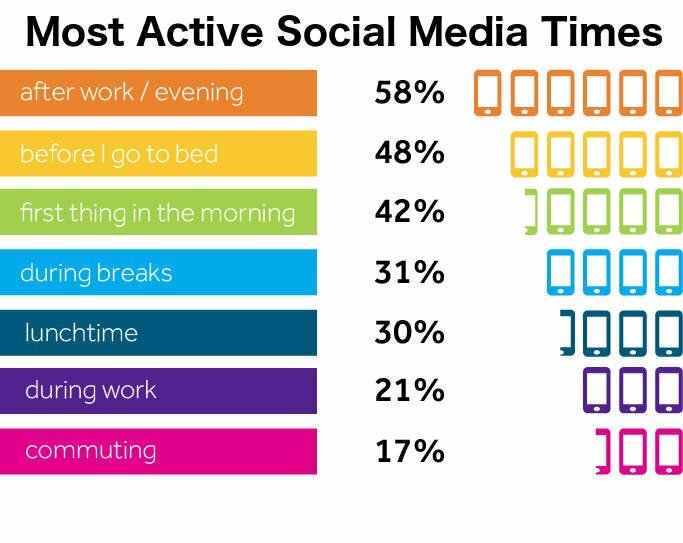 If your business isn’t active on social media, you’re falling way behind. Every month the social media benefits and use increase. Sure, social media isn’t always the easiest to use, and maintaining several accounts can be a lot of work. But social media presents your business with so many incredible opportunities! Really . . . you cant afford not to have it as part of your business strategy. Thanks to “social media marketing”, advertising your business is cheaper and easier than ever before. Still need some convincing? 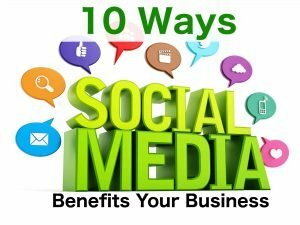 Here’s our list of the 10 best social media benefits. Topping the list of social media benefits is the ability to build brand awareness. Building awareness is the foundation upon which all other actions take place. You won’t nail down a sale if nobody knows about your company. Or can’t find you online. 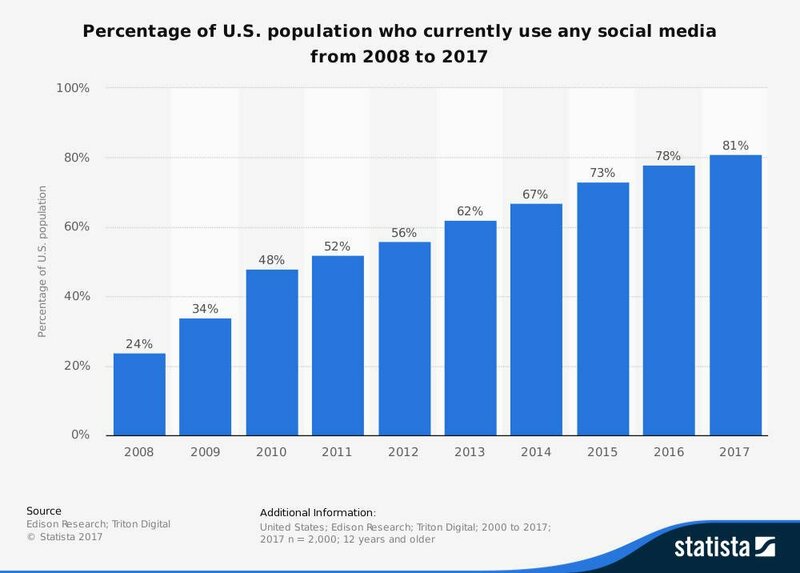 The number of worldwide social media users is expected to rise to around 2.5 billion in 2018. If you want to increase awareness of your business, there’s no better place to be than on social media. Sometimes businesses can seem isolated, foreign or lifeless. They look like nothing more than a corporate mass full of cogs and gears hiding behind a colorful logo. Social media is a great place to shake that stigma. It’s a fantastic platform to show some personality and creativity. Take Wendy’s, for example. Nobody would think a chain burger joint could be hilarious and talk trash. But Twitter opened up many incredible possibilities to beat its competitors. One of the traditional challenges for businesses was finding a place for communicating with their audience. Let’s face it, most people aren’t visiting business websites recreationally. Unless someone has a specific need, a business site isn’t a go-to destination online. But they do “recreationally” use Twitter, Facebook, and Instagram. Social media is a virtual hangout spot. It’s where people get news, share pictures with family, debate and discuss. Even watch funny, unusual or educational videos. Learn where your audiance “hangs-out” on line. By going where your audience is, you’re improving your chances to make an impact with them. When a customer has a question or a problem, the speed at which you respond is important. It is an critical factor in ensuring their satisfaction. 69% of people associate a good customer service experience with a quick resolution of their issue. Speed and accessibility is one of the best social media benefits. People can ask questions and you can answer them almost instantly. Use social media for customer service is powerful. You’ll set yourself up for a reputation as a helpful and transparent organization. Along with asking questions it has other business benefits. Social media is a great place for customers to give you feedback and ideas. Crowdsourcing ideas can also be valuable to your company. It’s a way to be innovative, improve your offerings, and stay on top of the community you serve. It can be a source of the thoughts, concerns, desires and ideas for your business. Not every suggestion will be a golden one. But you’ll be surprised what a single tweet or Facebook comment can do for your brainstorming. SEO is the process of improving your website’s ranking on search engine pages. Numerous factors go into determining your ranking. The higher your ranking, the closer to the all-important front page your site will be. Creating social media accounts and being active on them is one way to keep boost your ranking in searches. Part of it is sharing your name, logo, and business information in more places on the web. Social media also helps to build a network of links going to and from your site. If you do you are undoubtedly producing content for your website. Content is a key part of search engine optimization and building authority online. Your content might include blogs, videos, or infographics. But search engines and your own website shouldn’t be the only ways for people to find your content. You can use social media to share posts and engage with the people reading them. Sharing high-quality content helps establish your brand as a thought leader in its industry. Social media is one of the top ways to do it. For many years, the press served as a middleman between businesses and the public. They held all the keys and guarded all the doors. If your business had an event or an announcement, you had to rely on the journalists to put your name and story in the paper. Thanks to social media, there is no longer the need for a middleman. Businesses can distribute press releases directly. You can make them immediately avalible. A direct connection to your audience providing live coverage of your events, or happenings. With social media, businesses can be their own journalist. Traditional advertising, such as TV commercials or print ads, is a struggling industry. Ads are expensive and distributed to a broad audience. There’s no guarantee that anyone seeing your message actually has a need or want for your goods or services. Tracking the effectiveness of your ads is difficult. One of the many social media benefits is targeted advertisement. You can create advertisements that are directed to a specific demographic or audience. Using their database of user information, the social networks will put your ads in front of the right eyes. And unlike other forms of advertising . . . it is 100% measurable, down to every click. Targeted internet advertising is the way to get it. Targeted internet advertising puts the right people in front of your ads. These are the folks who will be more likely to make a purchase. This is the best way to save a ton of money because instead of unfocused advertising . . . the scope is smaller and directed at those who already have an interest in your business, products or services. A business is only as good as the people working there. That’s another area where social media can help out. You can use social media to find new employees who are qualified and also a great fit for your company culture. Many recruiters use networks like LinkedIn. Numerous relationships have been built and nurtured on Twitter and other sites. If you’re looking to bring on new talent, social media might be the place to find it. The benefits listed here are just the tip of the iceberg when it comes to what social media can do for your business. To learn more about how you can leverage social media to promote your brand and earn more sales, keep an eye on our blog. Want to Increase Your Website Traffic with Social Media? You might want to check out our “Smart SEO Service” it combines many of the things we have spoken about here and a few more. Check out the Video below – and find out how our Smart SEO works and give you a special opportunity to have a 20-minute private call with me directly.